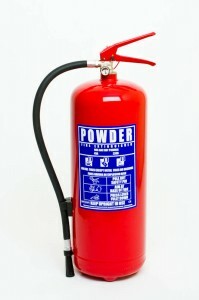 The 9kg ABC Dry Powder extinguisher is a multi-purpose extinguisher suitable for use on (Class A, B and C) fires involving combustible solids, flammable liquids and gases. The highly-rated extinguishant is Mono-Ammonium Phosphate, which is a fine powder that can knock down flames quickly and protect users against the radiant heat from a fire. The Dry Powder unit is also the only extinguisher internationally approved for use on Class C (gas) fires, however it is recommended that the gas supply be shut off before tackling the fire to avoid the explosion and asphyxiation hazards of the gas flowing into the premises, . 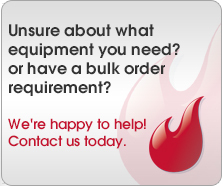 For peace of mind, all our portable fire extinguishers are pre weighed, checked and labelled in accordance with Irish Standard 291:2015 prior to dispatch from our warehouse. Extinguishers should be commissioned on site by a competent person.